Book convenient Klook tailored van transfers to get to the N-Seoul Tower faster and easier! The eticket was easy to redeem at the automated counter. We enjoyed the tower view and took many pictures at the surrounding areas at the foot of the tower as well. highly recommended for friends and families. We visited the Hello Kitty Museum as well. very good for kids. Perched on its lofty hilltop amongst the beautiful natural surrounds of Namsan Park, N Seoul Tower provides visitors with uncontested views across the whole city. Swiftly rise to an almost 500-meter elevation to visit the N Seoul Tower Observatory and discover more about this incredible monument. Forget the daily rush of the metropolis for a moment as the beauty of all of Seoul spreads out before you. During the day, experience views extending across the city to the hills beyond; at night, watch as the twinkle of city lights mingles with the stars. 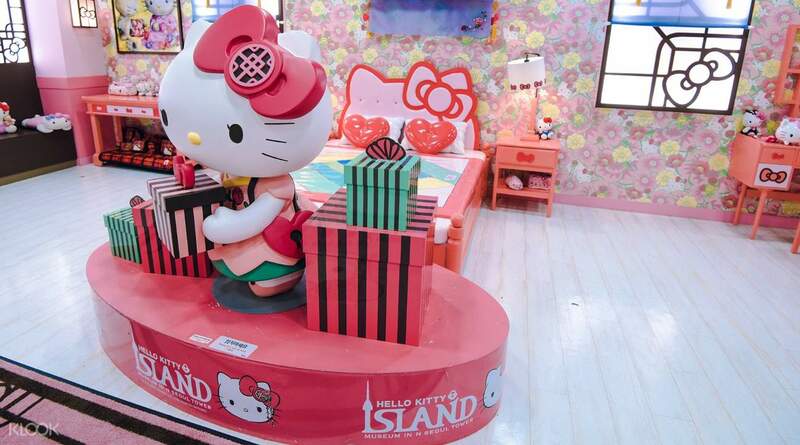 Now travelers can also include discount combo N Seoul Tower tickets to two exciting museums opened within N Seoul Tower: step into the magical pink world of everyone's favorite cartoon cat at Hello Kitty Island where you can explore Hello Kitty's house and purchase cute mementos at the gift shop. We walk 1.5km from myeongdong to the top. 1.2km is a steps tour. The scenery up there is great and windy. We entering the n tower without long queue and spent few hours there. We enjoy the panaromic view from day time to night time, spent three hours up there. And another one hour spent in hello kitty Island. Overall is great. We took cable car down to the town. We walk 1.5km from myeongdong to the top. 1.2km is a steps tour. The scenery up there is great and windy. We entering the n tower without long queue and spent few hours there. We enjoy the panaromic view from day time to night time, spent three hours up there. And another one hour spent in hello kitty Island. Overall is great. We took cable car down to the town. Got the tickets in half price by using clook app. Had amazing experience. seoul tower worth watching. take myeongdong exit 3 and from there take bus no. 5. which will take you to the top of hill where the tower is and you can return via same bus no. Got the tickets in half price by using clook app. Had amazing experience. seoul tower worth watching. take myeongdong exit 3 and from there take bus no. 5. which will take you to the top of hill where the tower is and you can return via same bus no. I had to claim /print my voucher from the ticketing machine using the 16 digit code. 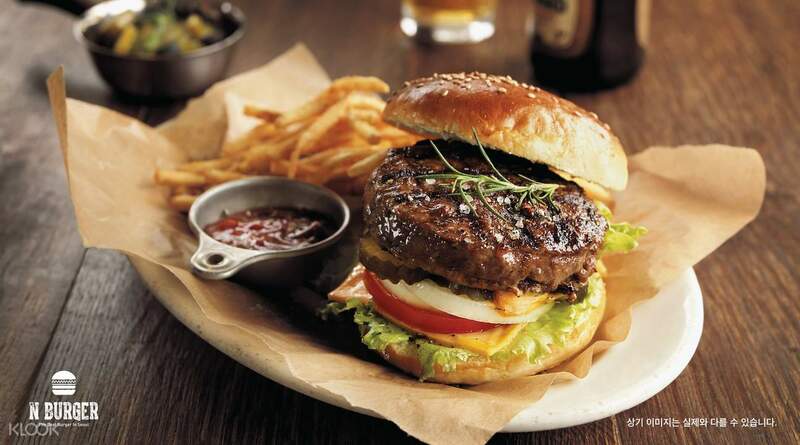 Easy claiming of the burger, fries and drink by presenting the voucher. Not that impressed with the view at the top/observatory probably because I had seen better views at Taipei 101. Overall it was good. Thanks Klook! I had to claim /print my voucher from the ticketing machine using the 16 digit code. Easy claiming of the burger, fries and drink by presenting the voucher. Not that impressed with the view at the top/observatory probably because I had seen better views at Taipei 101. Overall it was good. Thanks Klook! Quite a long distance from the station to N tower (ard 15mins walking, 5mins namsan elevator, 15mins namsan cable car). One thing to take note is that the ticketing place is abit tricky as we can't redeem from the normal ticketing counter. The person told us to go down a floor (same floor as the hello kitty museum) to a ticketing machine to scan the code and get our tickets. Then we went to hello kitty museum first which is really cute and awesome for hello kitty lovers. After that, we went up N tower for some photos and tower souvenirs. There are other floors in the tower as well - expensive restaurants, olive young etc but we didn't manage to explore all due to our schedule (and also spending too much time in the hk museum 🤭). Quite a long distance from the station to N tower (ard 15mins walking, 5mins namsan elevator, 15mins namsan cable car). One thing to take note is that the ticketing place is abit tricky as we can't redeem from the normal ticketing counter. The person told us to go down a floor (same floor as the hello kitty museum) to a ticketing machine to scan the code and get our tickets. Then we went to hello kitty museum first which is really cute and awesome for hello kitty lovers. After that, we went up N tower for some photos and tower souvenirs. There are other floors in the tower as well - expensive restaurants, olive young etc but we didn't manage to explore all due to our schedule (and also spending too much time in the hk museum 🤭). very nice place for photos.. hello kitty island is just small but our daughter enjoyed it so much.. nseoul tower is quite confusing.. you need to wait for the namsan tour bus to reach the tower itself. good thing we didnt walk up to the tower because it is vry very very very far and uphill. tower was okay. 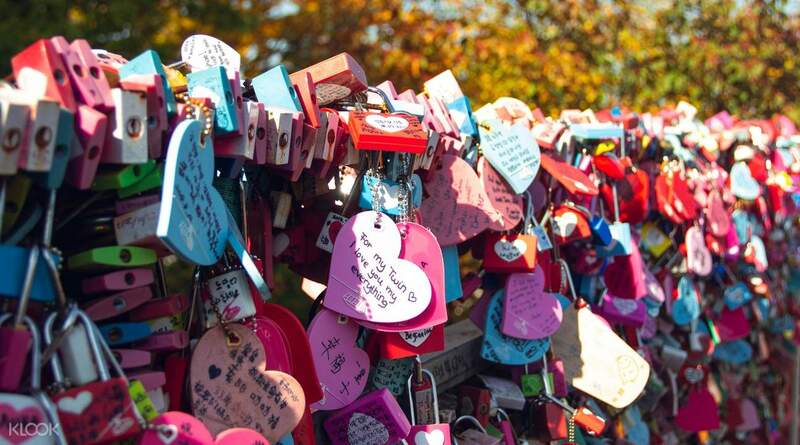 thr love lock. ridhe is really nice. very nice place for photos.. hello kitty island is just small but our daughter enjoyed it so much.. nseoul tower is quite confusing.. you need to wait for the namsan tour bus to reach the tower itself. good thing we didnt walk up to the tower because it is vry very very very far and uphill. tower was okay. thr love lock. ridhe is really nice. It is One of the best experiences that I had. It is my first time in that place and it gave me a worth experience. I will recommend it ti my friends to book their activities in klook since the money that they will spend is worth it. I will be using klook again in my future travel! It is One of the best experiences that I had. It is my first time in that place and it gave me a worth experience. I will recommend it ti my friends to book their activities in klook since the money that they will spend is worth it. I will be using klook again in my future travel! Q: Does this ticket include the admission ticket and the elevator fee for N Seoul Tower? Q: Can I cancel this ticket for a refund if I didn’t use it yet? Q: Can I cancel just a portion of my ticket if someone in my group cannot go? A: No. The QR code sent to you is associated to ALL the tickets on the order. If you want to cancel only 1 or a portion of the order, you will have to cancel the entire order and rebook your tickets. This ticket allows for instant same-day booking, so you can do this on the same day as your planned visit. Please note that once you use the QR code to redeem the tickets, you will NOT be eligible for a refund. Q: Can I use the combo ticket on 2 different days? I would like to visit the observatory on one day and Hello Kitty Island another time. A: No. The tickets must be used on the same day that you redeem them. A: No. You can use the N Seoul Tower Ticket on any day before the expiration date written on the voucher.